The father daughter day hike at Big Bend takes place at the famous rock formation called Window Rock. The lower painting is from a Christmas morning long ago. I love to imagine the phone conversations that must have taken place. I painted these paintings from photos and memories, and I was honored to do so. The little girl from Christmas morning had a chance to grow up, and loved to hike with her Dad, but her life was cut short. As I went through the day today with my family, I thought often of the parents in these paintings, and the parents in New Town, and any parents who have had to bury a child. Merry Christmas to all, and I wish you all a peace filled holiday and year to come. Lovely. Memories are so strong at this time of year. You captured them so well. We thank you so very much for capturing these special moments for us – Bailey was the light of our lives and it shows in your work! Bailey was such a blessing to many people. I am her grandmother, her Dad’s mother. I love to think of her dancing in Heaven. I believe she was phoning me in the picture! She had wonderful parents, who did everything to make her life full and rich. What a wonderful job you have done in these paintings. 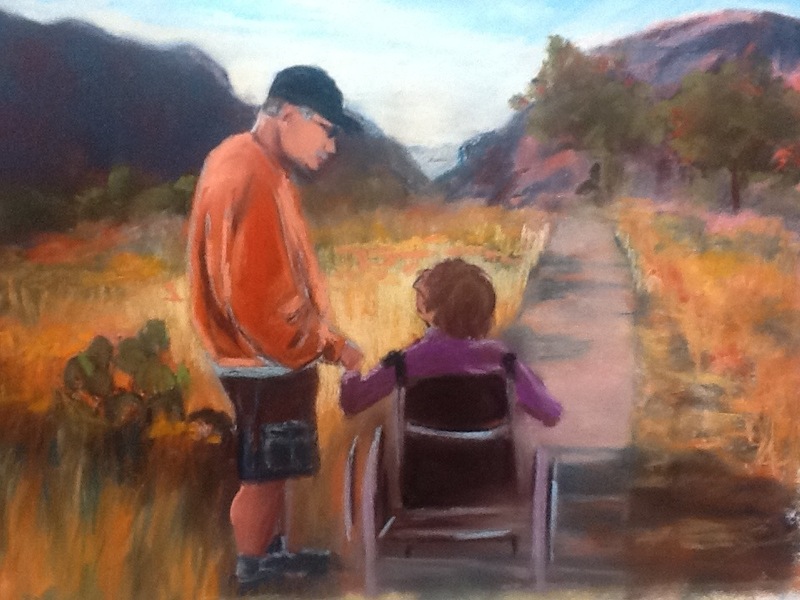 Bailey was such a special young lady and your paintings have captured her personality so well. You captured Bailey so well in these photos. She LOVED going to Big Bend camping with her parents. What a special person she was and loved by all who knew her. She touched a lot of lives in such positive ways and I am so blessed to have known her. I miss her but whenever I think of her, I see her happy and smiling and that makes me feel good. 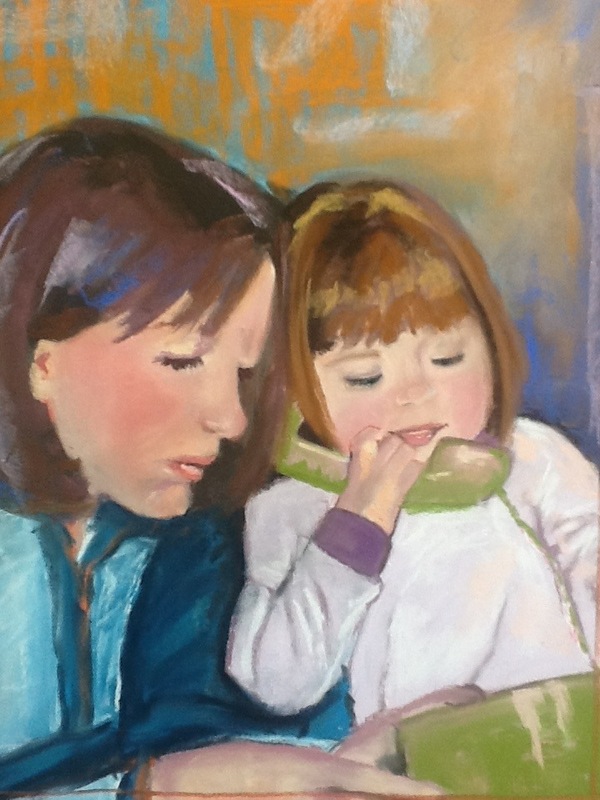 Thank you for creating these wonderful paintings that capture these special memories for her parents.